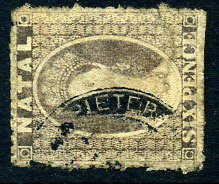 (T.4) brass seal on QV 4d CA wmk (SG.16a), pale colour. (T.4) brass seal on QV ½d showing only Crown portion of watermark plus marginal wmk line above. 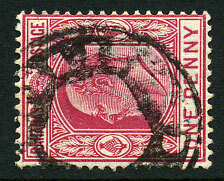 (T.4) mailbag seal on QV 2d green CC wmk (SG.6), one toned perf. at top. 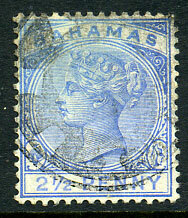 (T.4) brass seal on QV 1d blue CC wmk P.14 (SG.5). 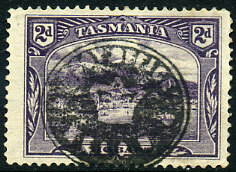 (T+H unrecorded) on 1876 12c pale violet CC wmk (SG.131). 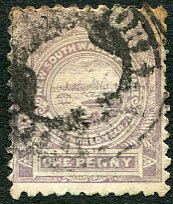 part ADDAH negative seal (T.4) plus Cape Coast "556" on QV 4d CC wmk (SG.7). 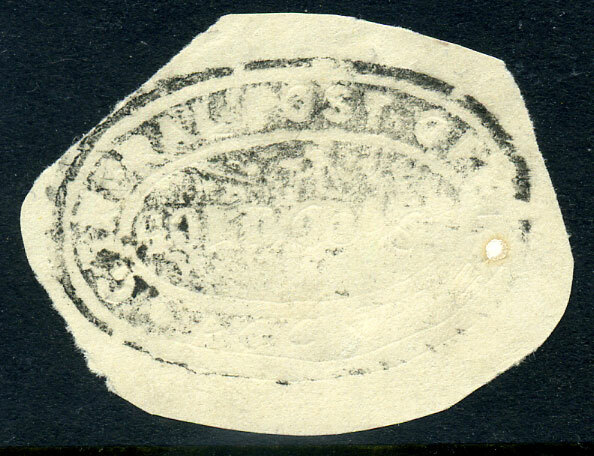 (T.4) undated brass mailbag seal on QV 2d CC wmk (SG.6), pulled perf. at right. 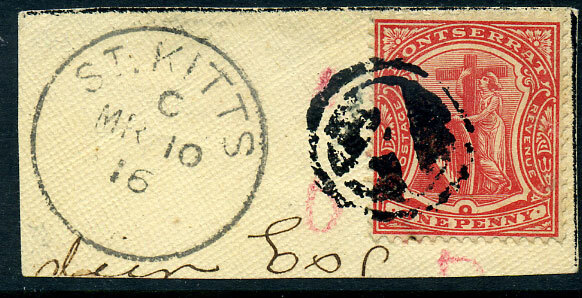 (T.4) undated brass mailbag seal on QV 4d CC wmk (SG.7). 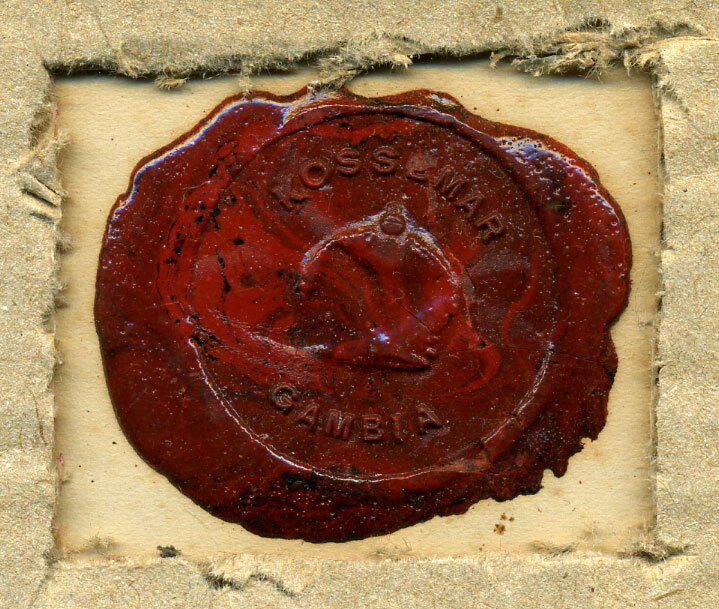 brass mailbag seal on 2d Pictorial. brass mailbag seal on 1d Pictorial. previously unrecorded strikes of a not yet fully deciphered brass seal showing word "COMPANY" on horiz. 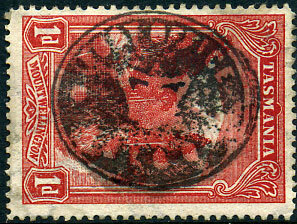 strip of five 1897 1d scarlet & emerald (SG.67) undated piece. 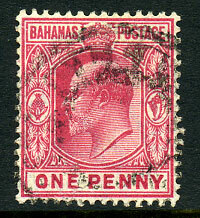 showing lettering LLS on 1906-11 KE7 1d (SG.72). showing all five letters of office name on QV 2½d (SG.50). Extremely rare and thought previously unrecorded on QV issues.